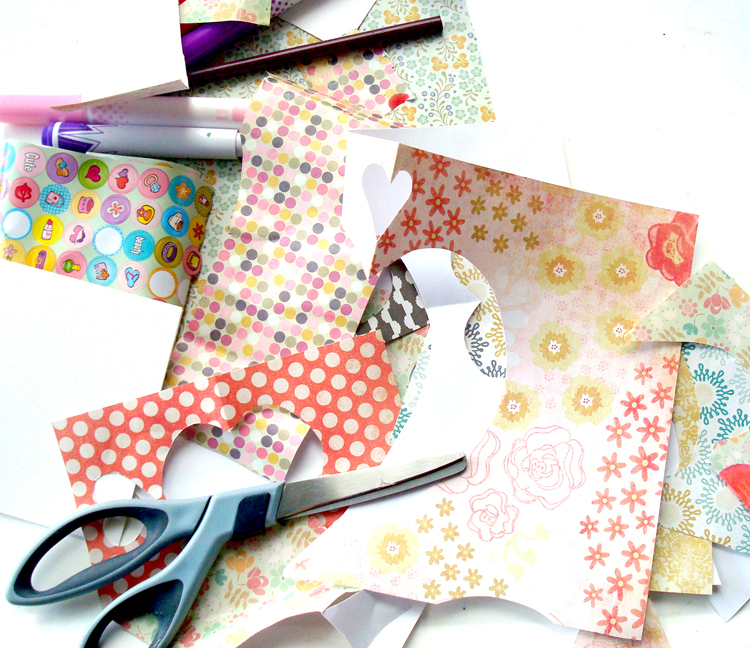 Remember the days of cutting hearts out of construction paper? And lets not forget the stapled together envelopes that would hold all of your Valentines in class. 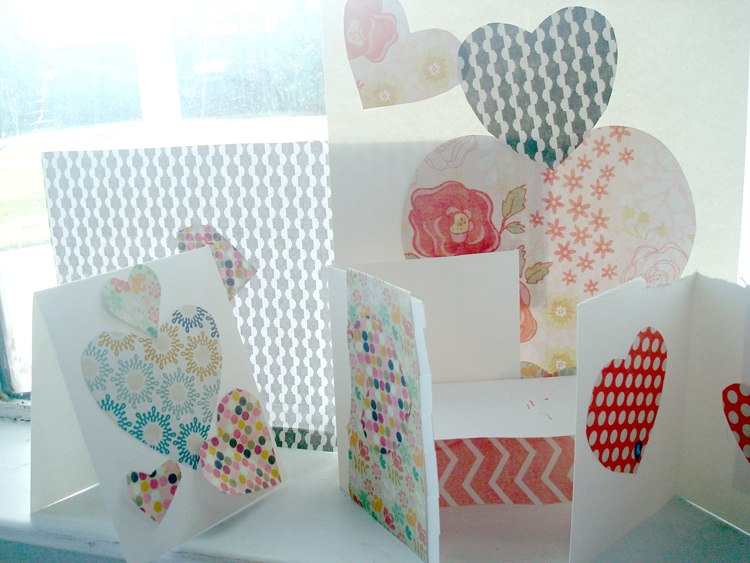 Well, Gemma and I did some Valentines day card crafting of our own a few days ago. 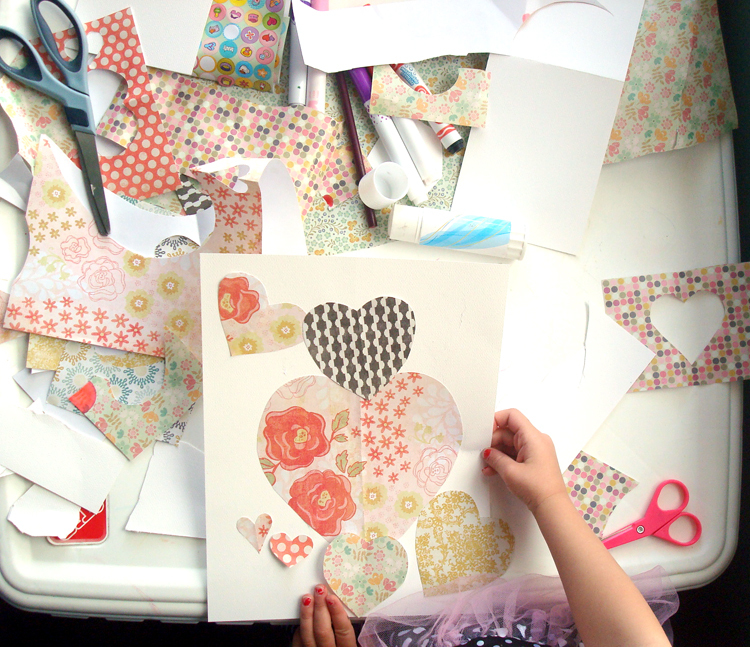 We used simple hearts out of scrapbook paper. I was working on teaching her how to cut out a heart on her own by giving her a traced guide. It was a fun few hours of cutting and glueing and the result was quite beautiful. 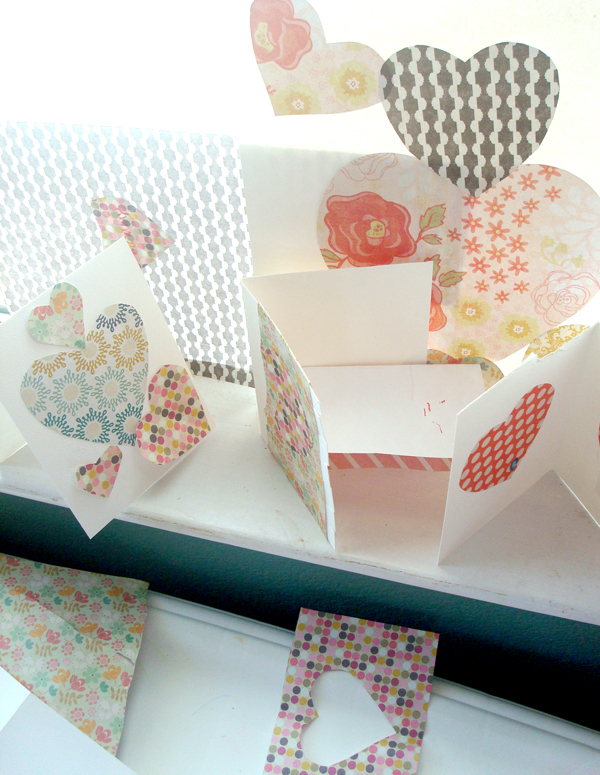 These simple Valentines cards make the perfect kid craft for all of this cold weather.